Yemeni Foreign Minister Khaled al-Yamani on Saturday launched a scathing attack on a Houthi delegation that failed to attend UN-backed peace talks in Geneva this week. 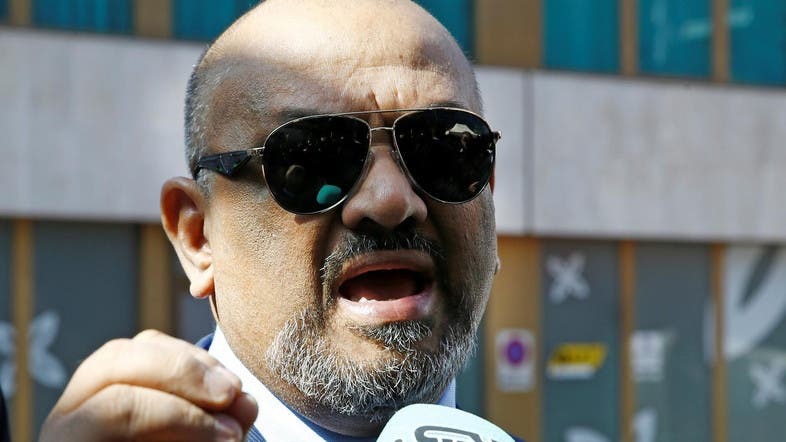 Following an announcement that the government delegation was to leave Geneva, Yamani said he "did not trust what the Houthis were telling the United Nations behind closed doors" and that the militia had been attempting to "sabotage the talks." He added: "We want the UN to be firmer in bringing the other party to the negotiations." The Houthis, a militia locked in a war with Yemen's legitimate government, had refused to take off from the militia-held capital of Sanaa unless the United Nations met a list of conditions. But in an apparent disagreement with Griffiths, Yamani said that the UN envoy had "criticized the Houthis in talks with us, but justified their absence during a press conference." Before Yamani spoke, Griffiths had held a press conference in which he said: "They [the Houthis] would have like to get here, we didn't make conditions sufficiently correct to get them here," declining to elaborate. Griffiths went on to say that the lack of Houthi attendance did not represent a "fundamental blockage in the process" and that he would meet soon with their representatives in Sanaa and in Muscat, Oman. Earlier, Yemen’s Minister of Information Muammar al-Eryani voiced the government delegation's anger at the Houthi side, after they had still not traveled to Geneva for the talks.